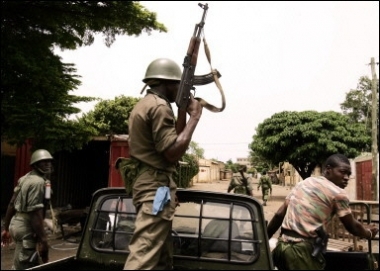 Togolese police patrol in Be district, the opposition stronghold in Lome. 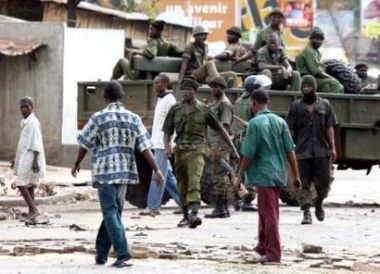 Togolese police patrol in Be district, the opposition stronghold in Lome. 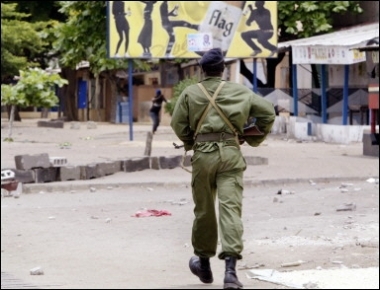 Tensions in Togo's capital Lome were easing after clashes between security forces and opposition supporters that have left some 22 people dead and more than 100 injured since last week's presidential poll. 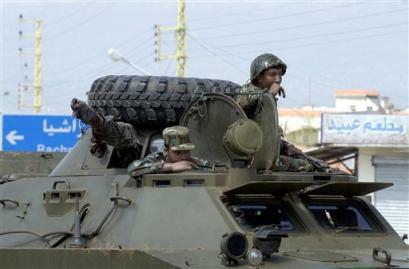 Lebanese soldiers stand guard with M113 after they took over the Syrian military intelligence headquarters. 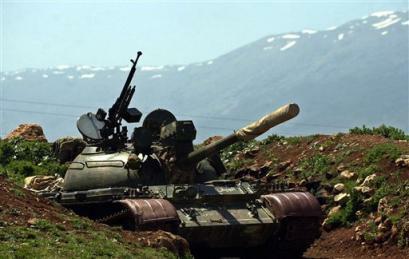 Fighting near Tierrero between rebels and government forces has been ongoing for almost a week. 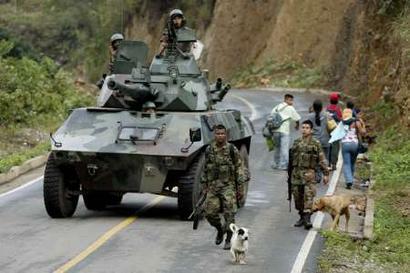 An armoured fighting vehicle stands guard as a Red Cross vehicle passes on a road near Tierrero, Colombia, Colombia, 240 miles southwest of Bogota, Friday, April 22, 2005. 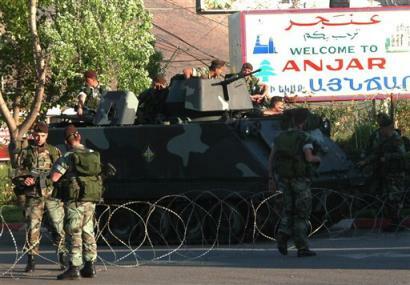 Fighting in the area between rebels and government forces has been ongoing for almost a week. CARACAL, a new tactical vehicle for the Bundeswehr: Rheinmetall and Iveco Magirus enter cooperation agreement. Rheinmetall and Iveco Magirus have agreed to work together in the field of wheeled, 6 to 8 ton-class armoured vehicles for the German market. As part of this agreement, Rheinmetall Landsysteme GmbH of Kiel, the Land Systems division of the Rheinmetall Group, has obtained the German rights to Iveco's newly developed Light Modular Vehicle (LMV). Rheinmetall Landsysteme (RLS) will be responsible for adapting the vehicle to the needs of the Bundeswehr, as well as the integration of application-specific assemblies and weapon stations. The agreement also lays the groundwork for possible marketing of the vehicle abroad by Rheinmetall. 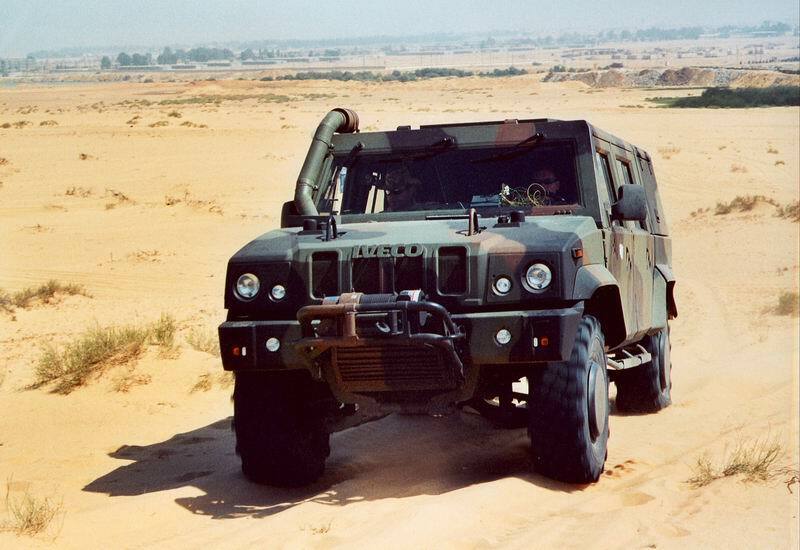 The new RLS vehicle will be marketed under the name CARACAL after the Afro-Asian cat; also known as the desert lynx. 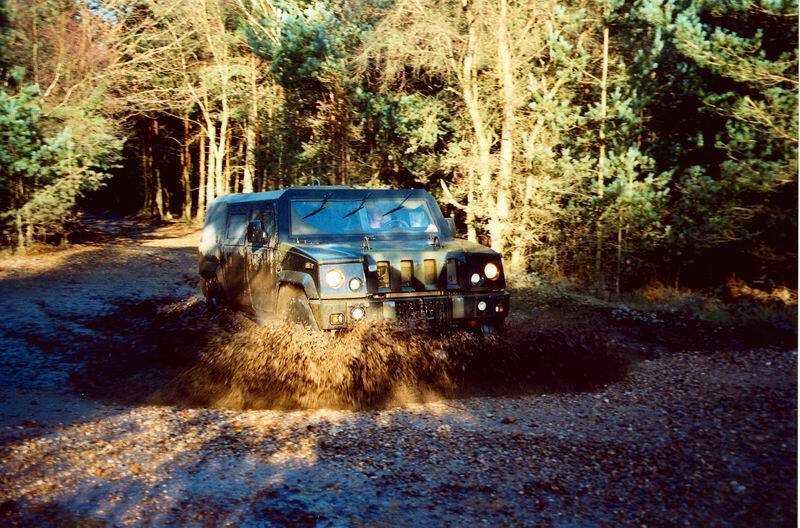 The CARACAL is a highly mobile all-terrain four-wheel drive vehicle. It offers a high degree of modular ballistic protection as well as advanced anti-mine features. Powered by a state-of-the-art diesel engine, the vehicle features high-performance single wheel suspension. The versatile CARACAL can carry up to five people and can be used to perform an extremely wide variety of missions, including reconnaissance, command, transport and patrolling; as a weapons platform it can configured in numerous different ways. 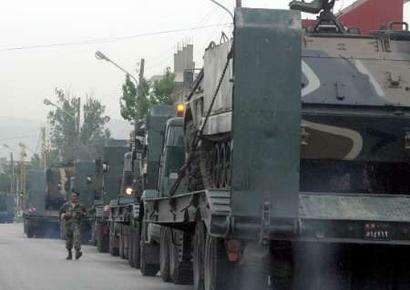 Dozens of Syrian tanks and military vehicles left Lebanon on April 9, 2005. 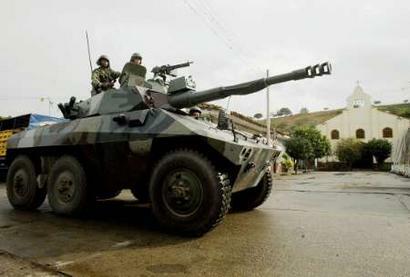 Dozens of Syrian tanks and military vehicles left Lebanon on April 9, 2005 as Syria quickened the pace of a complete military and intelligence pullout promised by the end of this month from its neighbor. 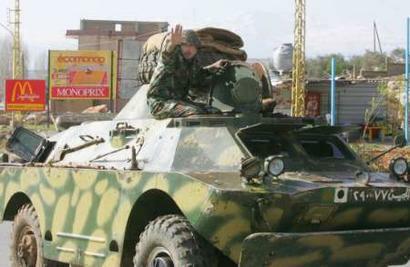 Pro-Syrian Prime Minister Omar Karami said he would unveil a long-awaited new government in Beirut on Monday to lead the country into general elections originally set for May. 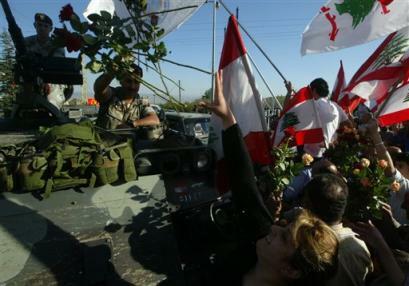 Syrian troops in Bekaa Valley withdraw toward the Syrian border with Lebanon in this April 7, 2005 file photo. HAWK missiles are seen reportedly to be part of the Defense system during the funerals of Pope John Paul II. 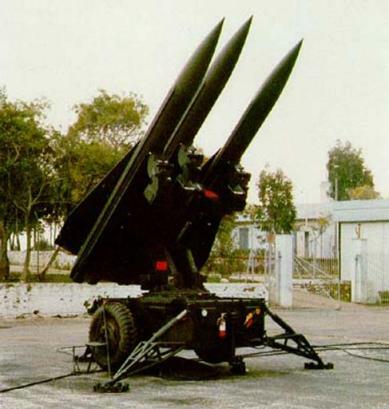 In this photo released by the Italian Armed Forces, HAWK missiles are seen reportedly to be part of the Defense system on the outskirts of Rome, used during the funerals of Pope John Paul II, military officials said Wednesday April 6, 2005. As the city of Rome is bracing for an unprecedented flow of pilgrims - some predict their numbers may match the city's own 3 million residents - extraordinary measures for traffic control and security are being taken for the pontiff's funeral on Friday.